In 2016, Alliance MMA completed an initial public offering which culminated in a listing on the NASDAQ stock exchange. 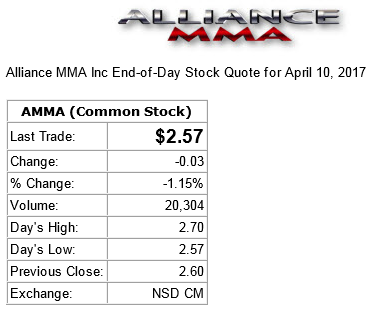 Alliance MMA (NASDAQ:AMMA) is a mixed martial arts (MMA) company that publicly began trading in October 2016, opening at $4.50 a share. 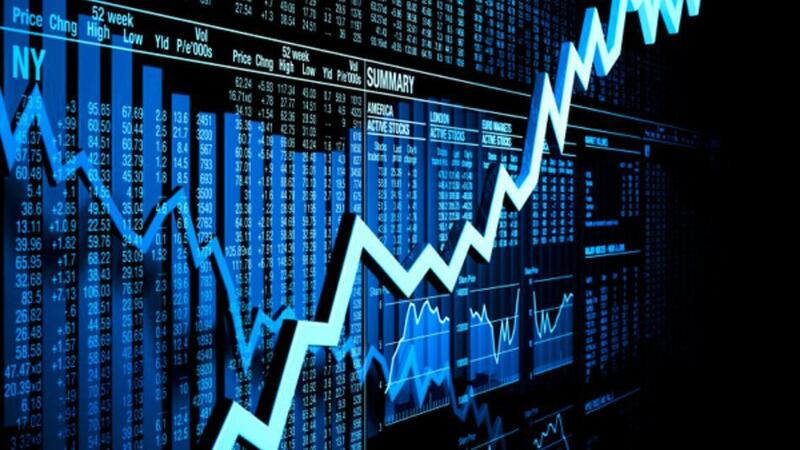 Alliance MMA is the only mixed martial arts promotion company that is publicly traded. It was the first of its kind to do so since the International Fight League in 2006. Today, April 10, 2017, six-months after going public, the day’s last trade was at $2.57, the lowest close it has seen. Each day sees highs and lows but the day does not necessarily end at those points. On April 5, 2017, AMMA saw it’s lowest since going public at $2.48 but the last trade of the day came at $2.61. This past Friday’s closing was a $2.60, resulting in a -0.03 decrease today. Despite the low offering, Alliance MMA is still moving forward. Last week Alliance MMA officials announced the execution of Letters of Intent to acquire the assets of two regional mixed martial arts promotions, Undisputed Productions, LLC, which operates in a number of Georgia and South Carolina locations under the National Fighting Championships brand, and The Englebrecht Company, Inc., which operates in the greater Los Angeles market under the tradenames Roy Englebrecht Promotions, Battle in The Ballroom and Fight Club OC.